Frieze is a very popular Carpet choice for many. It achieves it unique look and texture by utilizing a twisting method to cut pile carpet fibers. Although the fibers are twisted they remain soft, falling under their own weight creating a plush (mini) shag appearance capable of concealing foot prints, dirt and wear. Frieze carpet has many advantages over other flooring options and is a staple in many homes across America. Good Life Span - Depending on the quality of the particular frieze, you can expect a good life span. Care is always a factor in the longevity of your flooring so make sure to keep your warranty in check and follow the maintenance guidelines provided. 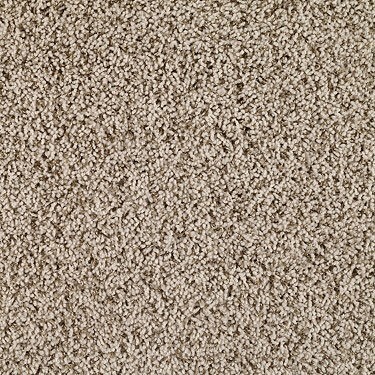 Frieze is a very durable choice of carpet texture and will wear beautifully. Great Use of Fibers - Frieze can be made with many types of fibers, but is most commonly made up of polyester or PET fibers. These fibers are incredibly soft, but the offer little when it comes to stain and wear protection. Nylon and wool friezes are the real powerhouses providing comfort, wear and stain protection. They are more expensive fibers, but worth the investment. Conceal Dirt, Dander and Debris Well - Not all of us have time to vacuum daily, and frieze offers a unique advantage in the dirt realm. The loose construction of the pile allows for you to take a day off from vacuuming and not visually see the effects. Any build up of dirt and debris will be hidden and the speckled colors of the frieze allow for a blend, making dirt virtually unnoticeable. Warming Properties - All carpet has warming effects, but frieze in particular is a step above the rest. The (mini) shag feel is true to its nature, encasing the bottoms of your feet in a soft and cozy environment. It is only second in the warming department to full shag.